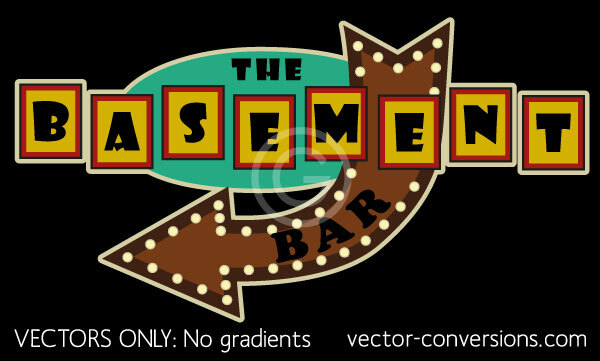 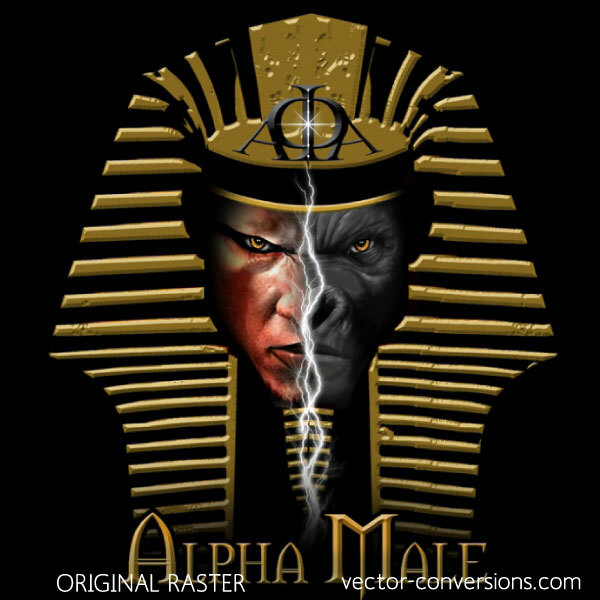 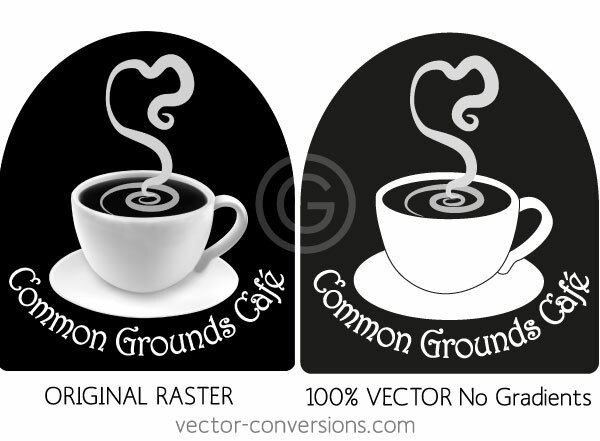 If your original image does not have color blends, the new vector image should look identical (if not better), but if your original has soft color blends and you require a vectors-only 100% true vector graphic, the vector graphic will look slightly to considerably different without the gradient color blends (raster effects). 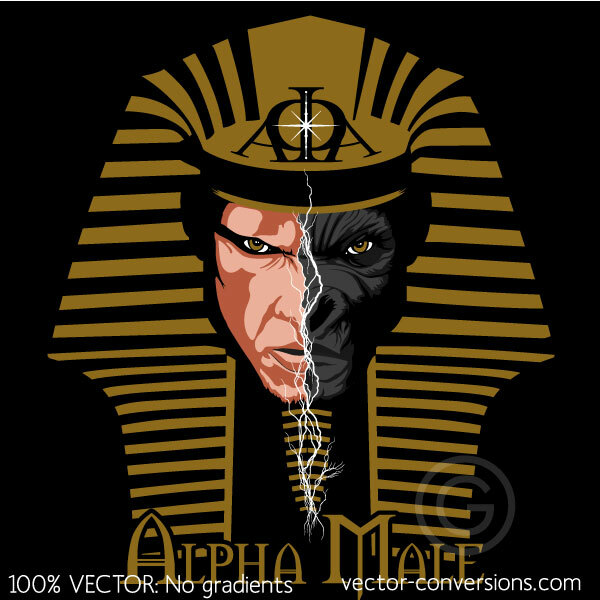 The purpose of this page is to give you an idea of how different an image with color blends may look after it has been vectorized using only vectors and no color blends. 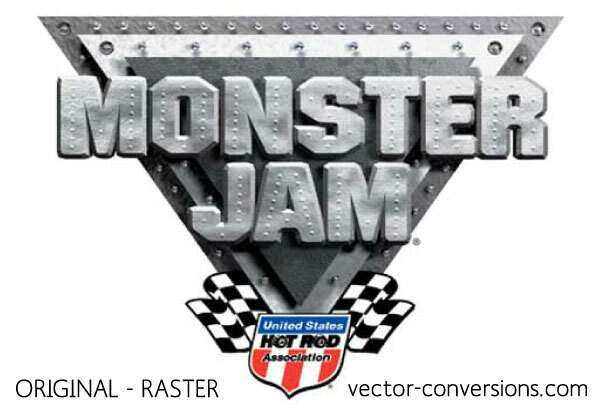 To see how images with color blends may look similar or the same if converted to vector using vectors plus raster effects, click vectors plus color gradients. 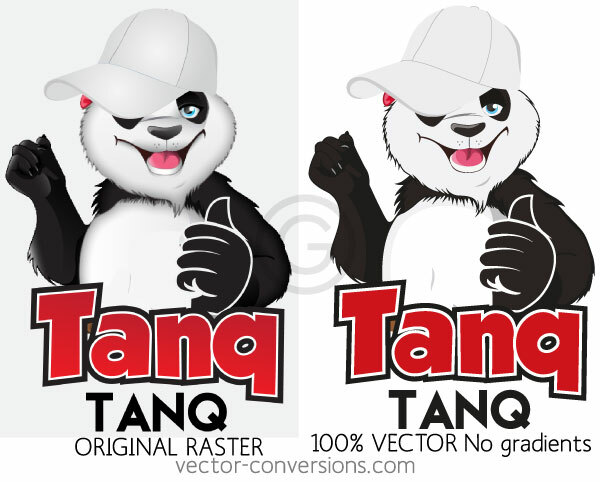 We draw the vector images according to your specifications; either using only vectors (100% true vectors) or using vectors plus raster effects. 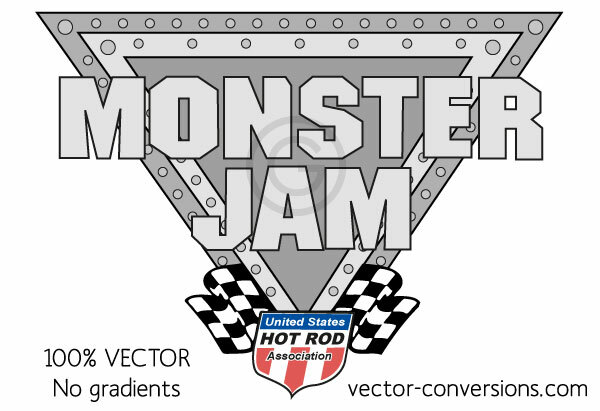 Engraving, etching, commercial signs, label pins and specialty printing require 100% vector graphics with NO raster effects. 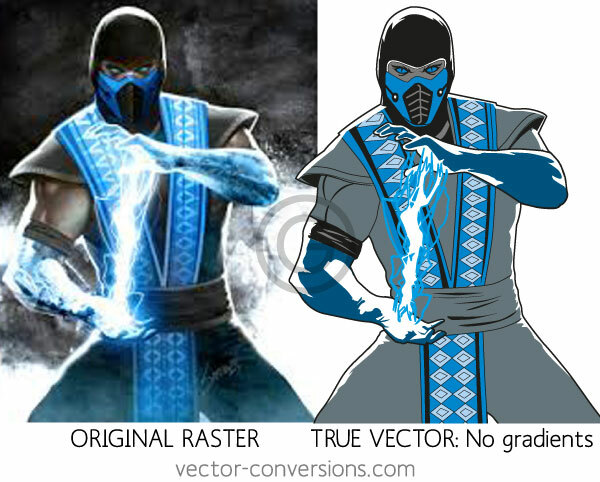 See more vectors vs gradients samples. 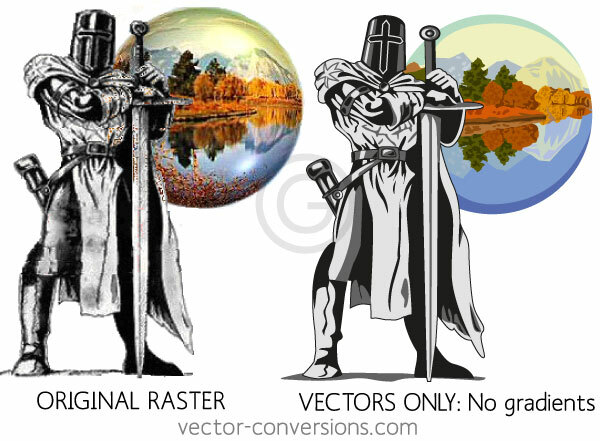 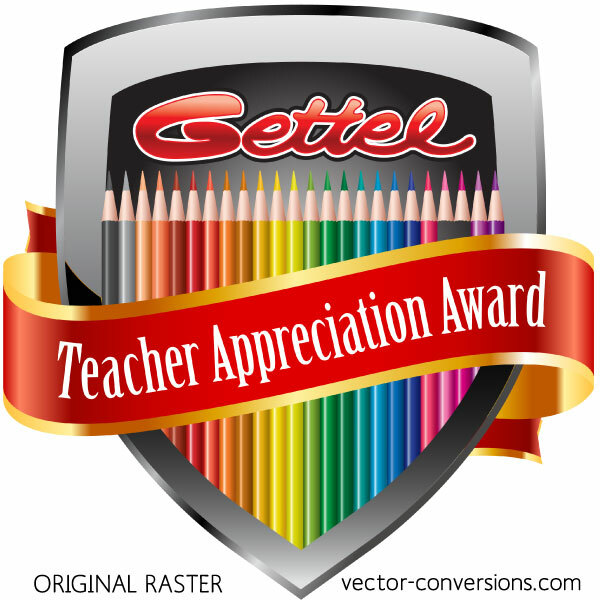 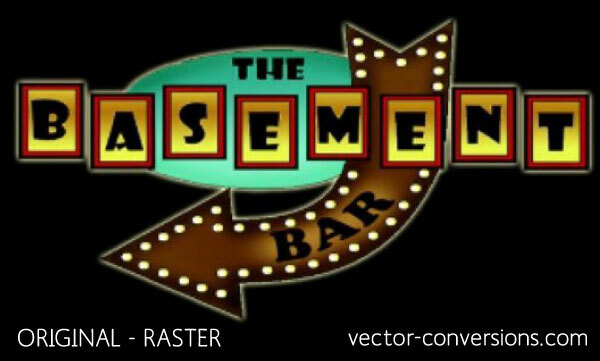 Learn more about raster vs vector. 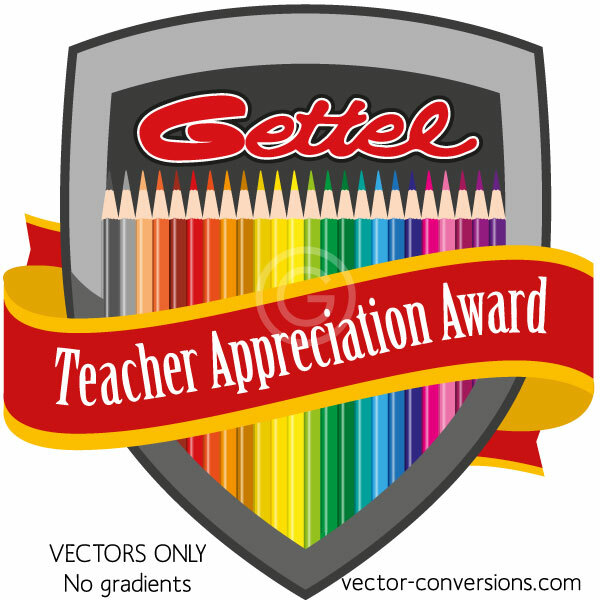 If you need a vector image WITH soft color blends and gradients, see other options for vectorizing full color images and images with gradients and soft color blends.